I like to think I have good observation skills and in a world where everyone now seems to be obsessed with fashion, how do we differentiate the really stylish people from the "fake-it-till-you-make-it" crowd? This list is not meant to discriminate. It's meant to reveal more about people who have an indepth love for fashion, or are just really good at it. Let's get to it! 1. They tend to prefer the term "Stylish" to "Fashionable." So henceforth, we will refer to them as "Stylish". I think it's because "fashionable" tilts a little more towards being a fashionist i.e, following every rule of fashion. Truly stylish people believe in individual style. 2. They don't fit into a particular style. "Preppy", "Bohemian" and "Afro punk" are all styles of fashion. I've found that truly stylish people love to experiment, so they don't box themselves in. I've also noticed it's a bit difficult for them to describe their style due to this versatility. They tend to give vague descriptions like "Funky". There are different kinds of funky. Narrow it down a bit, will you? 3. They understand that it's quality over quantity. Truly stylish people would rather invest in a few quality items than have a lot of cheap trendy clothes. In the world of fashion, a good instinct on when to save or splurge is very important for a balanced wardrobe. So they love sales a lot. Half the price for the full quality?!? #HellYes! 4. "I love your sense of style" is a much greater compliment than "You're so pretty!" 5. They don't use the "stylish factor" as a status quo. Just because you're dressed head-to-toe in high fashion, and the person beside you is not, isn't a reason to judge him/her beneath you. Did it even occur to you that the person might not be interested in high fashion? Just because you take fashion seriously doesn't mean the whole world should too. 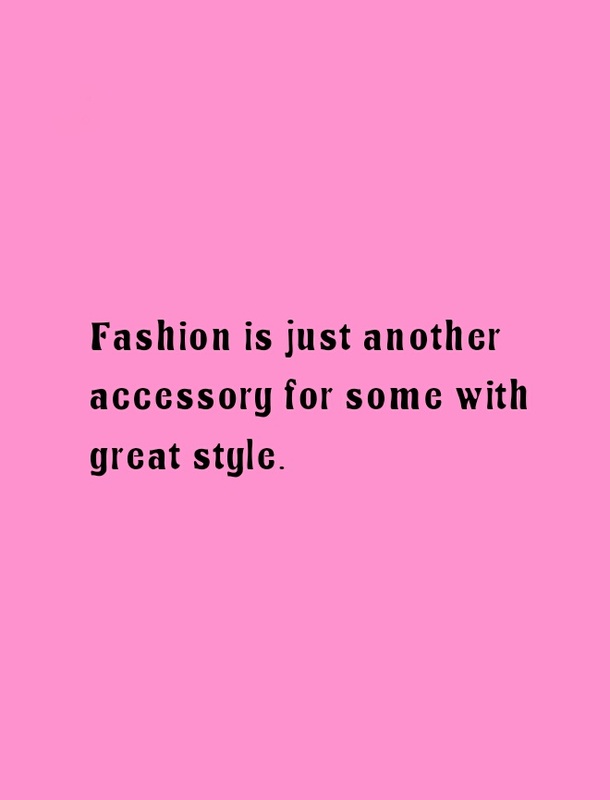 That being said, Do you pass the "Truly Stylish" test? 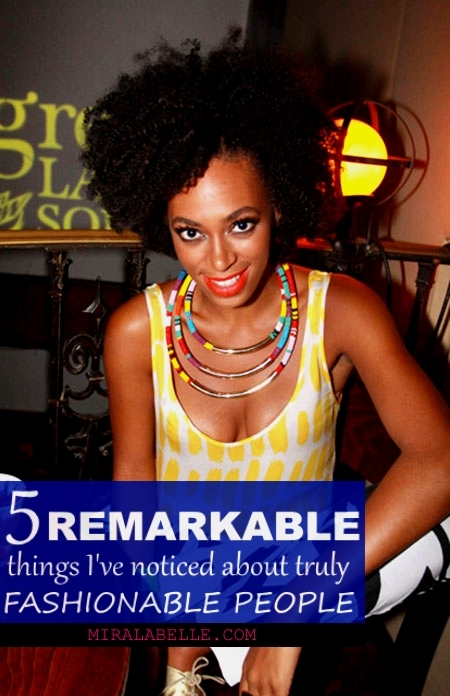 What other remarkable things have you noticed? Leave a link, let me know in the comments, I'd love to hear from you! Dont forget to keep up with MLB by subscribing and following on Instagram, Facebook, Pinterest, Blogloving and Google Plus, let's connect! -25 Fashion Quotes that'll totally make your day! Aha!Don't play humble here, sweetie! Be comfortable to use the "we". You are stylish. I give it to you. 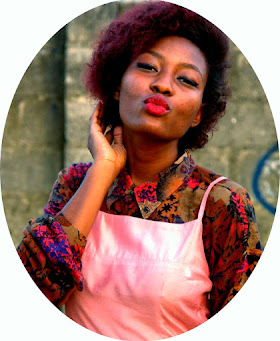 How I recyled a dress to a peplum top. Lol! *smiles shyly* off to see your recycling (more like upcycling) skills! This post is so me! Especially the idea of quality over quantity. I can throw it down in the thrift store coz they have some good quality things. I love to recycle and experiment, when asked about my style i just simply say i dress according to how i feel when i wake up in the morning.by the way, love your blog and ig page. Thank you so much Ginika! Ooh but you are stylish.. hehe. And so are you Grace! Interesting and well researched post indeed. Warm greetings! Thanks! And so are you! Chai I left a comment ohhhh! But I guess it didn't post ( I hope this one does sha). You're doing a great job with your blog and I can definitely see it growing bigger.